Commemorate the classic Caddyshack movie! This Caddyshack Freeze Gopher Beach / Bath Towel features a fun image from the film of the pesky gopher, caught within the crosshairs of a scope. 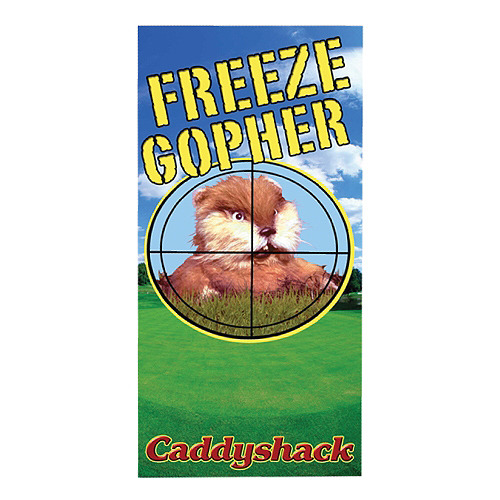 Complete with the words "Freeze Gopher," this great towel measures 56 1/4-inches long x 30-inches wide. Ages 13 and up.